"Opta's stats seem somehow negative but offered Tranmere opportunity: Rovers have five straight wins and haven't had six since 1991 in the Football League. They have won back-to-back visits to Colchester in the league, for the only time in the history of the two clubs clashing. Now's the time to improve those bits of history." After a long strike of bad results, Crawley finally took a home win against Grimsby the other week to lift spirits. Surprise home win, that is, if you ask me. They also held Mansfield to a goalless draw, which is no mean feat, before being thumped 6-1 at Crewe last weekend. Reds boss Gabriel Cioffi will want them to show they are made of sterner stuff against a far better outfit than the Railwaymen - the league leaders. Ollie Palmer scored his third goal in as many games with the penalty to start the scoring at Gresty Road, but Ibrahim Meiti getting sent off and becoming suspended doesn't help. Dannie Bulman has his work cut out trying to hold back Bruno Andrade and more precisely John Akinde, the Imps leading scorer with 14. It's almost like Andrade is owed a goal - or owes one - after netting six in a February purple patch. Akinde, by the way, is a former Reds player and colleague of Bulman and seems to have found the type of opportunity and goals he didn't get under Steve Evans as Crawley zipped through League Two after winning the top tier of non-league. He can return to the Broadfield and put his old club to the sword. I initially looked on this match as an away bet chance, but the most I examined it, the more it seemed that the home side might hold out for something. While the Cobblers still have half a chance of making the play-offs, bridging a six-point gap at this stage looks about as likely as resolving Brexit by next Friday's supposed deadline. Meanwhile, Cheltenham form at Whaddon Road is strong - 17 points from their past eight home match. And as Opta point out they have a man in form there. Luke Varney has scored eight of his 11 league goals this season at home, including six in his last seven in front of his home fanbase. Furthermore the Robins have scored in each of their last 12 home games, Tyronne Barnett and midfielder Conor Thomas semi-frequently among them. A total of 16 points from 10 games overall has helped them seemingly rise above the relegation scrap, but Michael Duff won't let them take that for granted. They will be buoyed by Will Boyle's availability, after a successful appeal against the defender's dismissal against Newport, on his 100th appearance. Duff might admit he's ready for the "melting pot" of discussing contracts with certain players, but he'll make them away this isn't an end of season game. Keith Curle says he is instilling accountability into his Northampton dressing room, while he loves the attitude of teenager Morgan Roberts who was called up for Wales U21s this wee. Charlie Coode is just loving the chant about him - especially as a loan player. The Cobblers have five wins in an unbeaten eight and two draws and three wins in their last six away, failing to score last time - at stubborn Grimsby. They might get a goal here but their hosts can probably hold them. Undoubtedly it has been Tranmere's away form that has been the difference between them resting comfortably in a play-off position and clawing their way into the automatic promotion places. They have the worst away points tally of any team in the top nine - who are the teams in with a realistic chance of something to play for at the top end of the division. In eighth place are Colchester, with 10 home wins, hanging on a bit by their coat tails to a play-off hope, after just three wins and two draws in their past 10 matches. Those three wins look chucked in against the form line, because they are so dramatically different, being 3-0 against Cheltenham and Newport and 4-0 at Northampton. In their other matches, they have failed to score three times, scored once three times and netted two goals once - in a home defeat to Mansfield. Form just before that spell wasn't that great either. Boss John McGreal insists Abo Eisa, on loan from Shrewsbury, has a part to play in the run-in. The winger starred against Northampton, but hasn't started since mid-February. But then McGreal says a few players deserved to lose their place after that one. Frank Nouble and Courtney Senior have been keeping him out, too, even if the former was sent off against Forest Green. The U's have conceded three times in three of their past four games, so their big problems are at the other end. Tranmere's price is bigger and their margins of victory small. But they are winning consistently at present - six times in seven matches, with clean sheets in five. A win at Exeter in their last away game is very noteworthy, while they boosted confidence with a 4-1 win over Grimsby in their last match. They've had 10 days without a match since then. James Norwood has scored five goals in four of their last five games. Connor Jennings has three goals in four games, too. 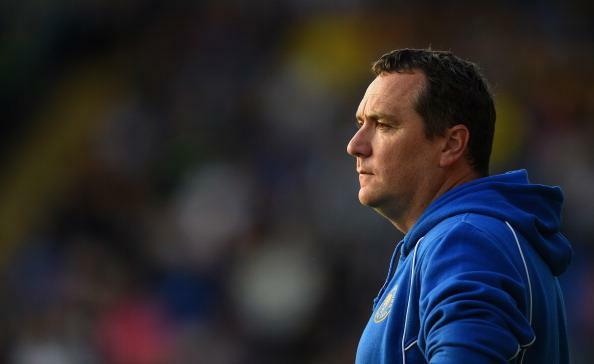 It seems that Micky Mellon's men are firing on more cylinders. But will the fact they seem unlikely to bridge the five point gap to the automatic promotion places stop them trying? It seems they are just firing up. Opta's stats seem somehow negative but offered Rovers opportunity: Tranmere have five straight wins and haven't had six since 1991 in the Football League. They have won back-to-back visits to Colchester in the league, for the only time in the history of the two clubs clashing. Now's the time to improve those bits of history. Stevenage's form surprises me. Whenever you think they are on a consistent losing run, they throw in a win. At home to Yeovil at the start of February. At home to Swindon 10 days ago. They followed up with a draw at Milton Keynes. A pretty good result. In fact they have three draws in six. Ronnie Henry is still loving what he does after 500 games and Dino Maamria's call to make the most of the win over Swindon in Buckinghamshire was heeded. But Boro just haven't been in the right form lately to think they can sustain a push towards the play-offs. Maamria outlined the respect he has for Sol Campbell this week, reminding the world that Paul Ince also started his managerial career at Macclesfield. He won't be taking them lightly and believes Saturday's opponents are performing with the spirit they began the season with - even if results were not great then either. The Silkmen, however, were suddenly jolted into life when Notts County moved off the foot of League Two and responded with a terrific 2-0 result at fellow strugglers Yeovil. Campbell finds himself right in the boiling pot of clubs struggling, not least with the club failing to pay everybody on time in January and February and resolving a winding up petition by HMRC this week. He'll just be happy if Harry Smith can score a third goal in six games - and even if defender Nathan Cameron can chip in again - while hoping that Elliott Durrell can rediscover that scoring touch from last season and that Michael Rose can start chipping in too. It's a tall order for them to keep a clean sheet, but if they really want to maintain their league status they really have to, plus score at least once. Opta offer that Stevenage have drawn their last three away, which I think emphasises they are not killing teams off and again gives the hosts a lift.